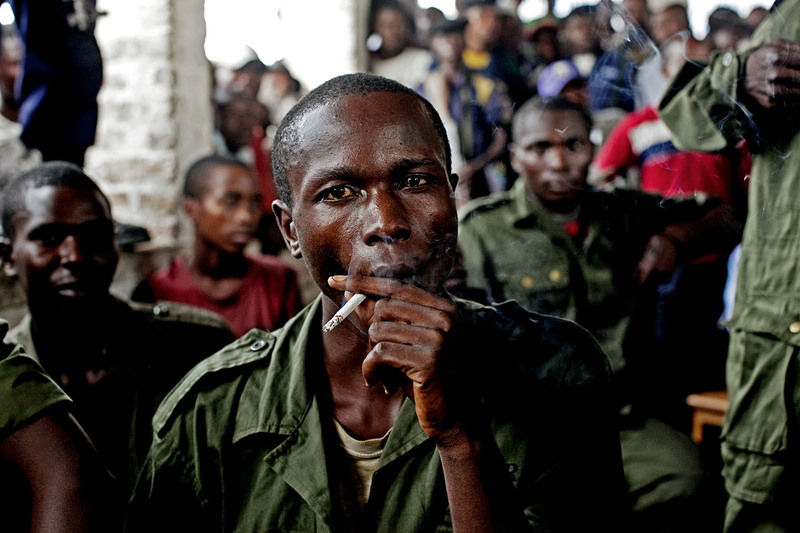 Sido Bizinungu, a close associate of Lt. Col Kebibi, smokes a cigarette during a break in sessions. Of all the soldiers, Sido struck me as the most deranged and dangerous. As other soldiers began to realize that their fate was grim, Sido remained defiantly indifferent. Early in the trial he made an attempt to smash my camera.